Parathyroid Surgery by World's Best Parathyroid Surgeons. 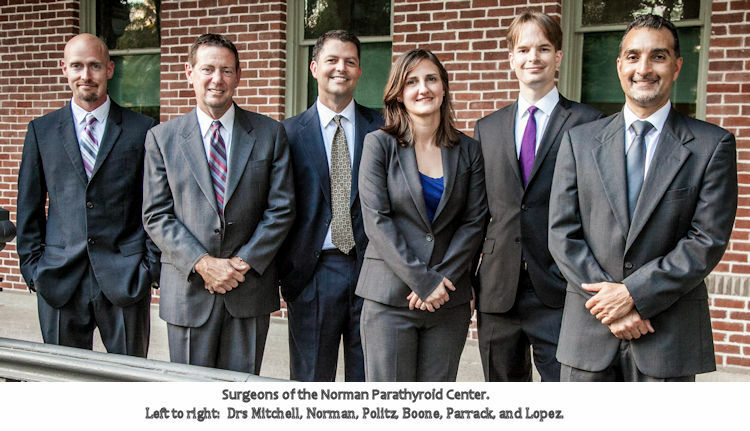 The surgeons at the Norman Parathyroid Center are by far the most experienced parathyroid surgeons in the world, with unparalleled expertise in the diagnosis and treatment of parathyroid tumors. They are the "Dream Team" of parathyroid surgery performing more parathyroid surgery than the top 20 universities or hospitals combined. James (Jim) Norman, MD, FACS, FACE, is recognized as one of world's foremost experts on parathyroid disease. Dr Norman is recognized as the inventor of minimally invasive parathyroid surgery in the mid 1990s, and is credited with dramatically changing the way parathyroid surgery is performed. Dr Norman and his team have performed over 35,000 parathyroid operations, currently performing more than 3,900 per year (more than 75 per week). More details on Dr Norman's distinquished career are below. Douglas (Doug) Politz, MD, FACS, FACE, trained in mini-parathyroid surgery under Dr Norman in the late 1990's and practiced in Texas from 2000 until 2004 when he re-joined the Norman Parathyroid Center. Dr Politz has performed more parathyroid operations than anybody in the world other than Dr Norman. Daniel Ruan, MD, FACS joined our team in 2016 from Harvard University where he was director of Endocrine Surgery. Dan went to medical school at Duke University and did surgical residency at Harvard. He then completed an endocrine fellowship at UCSF before returning to perform parathyroid, thyroid and adrenal surgery at Harvard in 2010. Jose Lopez, MD, FACS is an extremely talented surgeon who spent 5 years training at USF under Drs Norman and Politz. He then completed a fellowship in minimally invasive surgery, He is very gifted in mini-surgical techniques, capable of tackling the most difficult parathyroid operations. Jose is the third most experienced parathyroid surgeon in the world--by far. 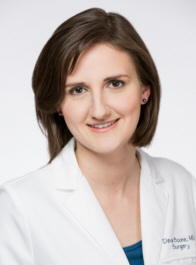 Deva Boone, MD, FACS trained in general surgery in New York and then undertook additional training in Chicago for thyroid and parathyroid tumors. Dr Norman says that Dr Boone is one of the smartest people he has ever met; she has become one of the best, most insightful parathyroid surgeons in the world with world-best knowledge about parathyroid disease. Jamie Mitchell, MD, FACS was a senior parathyroid surgeon at Cleveland Clinic (Ohio) for 6 years (2009-2015) when he left Cleveland to join our staff in Tampa. Dr Mitchell has a national reputation as an expert in endocrine (parathyroid/thyroid) surgery and is one of the most experienced and tallented parathyroid surgeons in the world. Kevin Parrack, MD comes to us from the faculty at Columbia University. He trained in surgery at New York Presbyterian Hospital and then completed fellowship training in Endocrine (thyroid/parathyroid surgery) at the Cleveland Clinic. Kevin brings a fantastic intellect and wonderful bedside manner to his great operative skills. Click Here to read more about our talented team of seven surgeons. 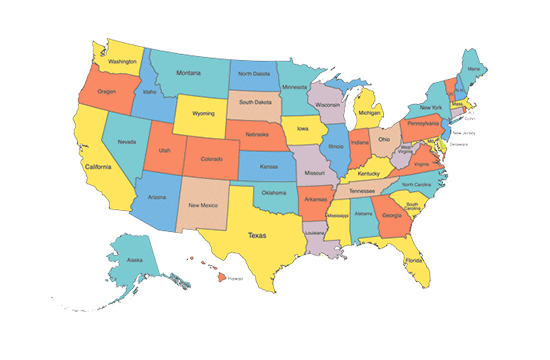 Because of their expertise, and exceptional results, our surgeons perform an 15 or more parathyroid operations per day on patients from every state, and most foreign countries. We perform more than 75 parathyroid surgeries per week, over 3900 per year, with an expected cure rate of over 99% and a complication rate near zero. 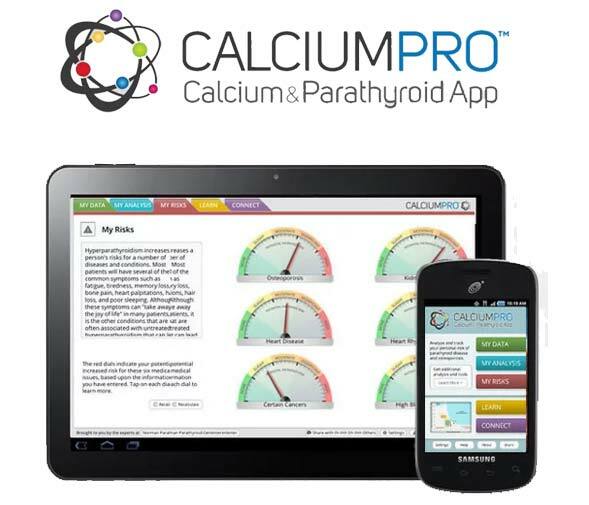 Nearly 100% of patients will go home within 2 hours of their parathyroid operation. Nearly all patients will have a scar that is only 1 inch that will be nearly invisible within 6-9 months. The average operative time is 19.6 minutes with the most parathyroid operations taking between 16 and 25 minutes to evaluate all four parathyroid glands. Even patients with a negative sestamibi scan and a negative ultrasound can expect a mini-operation that takes 19 minutes on average. We perform the same mini-operation on all patients, regardless of scan results. We evaluate all four parathyroid glands in 98% of all patients--the only way to get near 100% cure. One final note... All six of our surgeons are fantastic, however they work in teams of two or three. We don't use surgeons in training to do your operation, you will have two or three of the world's most gifted and experienced parathyroid surgeons in your operation and taking care of you at the hospital. More About Dr Jim Norman, MD, FACS, FACE. Dr. James Norman is the most experienced parathyroid surgeon in the world and is considered the "father" of mini-parathyroid surgery. For over 22 years Dr Norman has limited his surgical practice to parathyroid operations -- he does not perform any other type of surgery. Dr Norman has performed over 21,000 parathyroid operations on patients ranging from 3 months old to 105 years old. He and his team operate on people over the age of 80 once or twice per day and on teenagers about every few weeks. He also averages more than 2 operations per day on patients that have had an unsuccessful parathyroid surgery somewhere else. It is safe to say that there probably isn't a parathyroid problem that Dr Norman hasn't seen. Watch the video of Dr Norman performing a 4-gland parathyroid operation (you want your surgeon to look at all four parathyroid glands) where he removes two tumors during an operation that takes less than 13 minutes from cut to band-aid. Dr Norman has held several important academic positions, including Professor of Surgery and Professor of Internal Medicine at the University of South Florida College of Medicine. He also held the position of Director of Endocrine Surgery at USF and the Director of Surgical Core Laboratory for Surgical Research. Dr Norman left USF in 2000 to open the Norman Parathyroid Center. 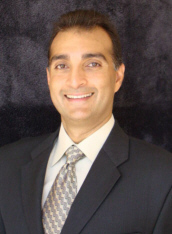 He is currently the Director of the Parathyroid Center at Tampa General Hospital. He is a member of more than 20 prestigious medical societies, including the American Association for Endocrine Surgeons, Fellow of the American College of Surgeons, Fellow of the American College of Endocrinology, the American Association for Clinical Endocrinology, the Endocrine Society, the Society of University Surgeons, American Association for Head and Neck Surgeons, the Society of Surgical Oncology, the American College of Surgeons, American Academy of Anti-Aging Medicine, AOA medical honor society (top 10% of doctors), and many more. His is one of only a handful of surgeons who is also a fellow of the American College of Endocrinology (FACE). He was the president of his medical school class, been voted 'Faculty of the Year' and 'Teacher of the Year' several times while at USF, and served many leadership roles within the societies he belongs. He has been recognized as one of America's Top Surgeons by the Consumer Research Council of America for 17 years in a row. He has been awarded the "Patients Choice Award" 16 consecutive years (top 3% of 720,000 American doctors) for his bedside manner and how he "treats" his patients. He is rated as US News and World Reports "Top Doctors" being ranked in the top 1% of all surgeons in the US for many years. He and his partners are among the highest ranked doctors on HealthGrades (top 0.1%). He scored in the 100th percentile on his surgery boards, and has served as an examiner for the American Board of Surgery. In October of 2011 Dr Norman was chosen by the Tampa Bay Business Journal as the most significant physician in the Tampa Bay area for 2011, having the greatest impact on patients within the Tampa Bay community. In 2014 Dr Norman was chosen by his alma mater (University of Central Florida) as the "Alumni of the Year", and "Lifetime Achievement Award" (see nice video). Dr Norman has published more than 250 medical journal articles as well as 12 books and/or book chapters. Most of Dr. Norman's publications revolve around his extensive work with endocrine disorders including parathyroid glands, parathyroid surgery and pancreas disorders. Dr Norman publishes medical journal articles on parathyroid disease on a regular basis. A full copy of Dr Norman's curriculum vitae (resume') is online--Click Here to view. including all of Dr Norman's credentials and a full list of publications. He is married to a family practice physician and has two incredible children (a daughter 27, and a son 23). Dr. Norman is a frequent speaker on the topic of parathyroid surgery, giving talks around the US on a frequent basis. He has been an invited speaker on the topic of minimal parathyroid surgery at the American College of Surgeons Annual Meeting on 14 occasions. Dr Norman has published the 12 largest parathyroid articles of all time (most patients) and serves as a reviewer for several medical journals. Dr Norman holds 6 US and foreign patents (with another 3 patents pending), including the patent for the techniques and tools used in radioguided parathyroidectomy which recognize his contributions to minimal parathyroid surgery. Dr Norman was a central member of the prestigious Moffitt Cancer Center team that helped develop sentinel lymph node mapping for breast cancer and melanoma (which is now the preferred way to perform breast cancer and melanoma surgery just as it is for parathyroid surgery). Dr Norman has received more than $4.2 million in federal and industry grants to support his research, including grants from the Department of Veteran's Affairs. Dr Norman has never had a malpractice claim (neither has Dr Politz, Dr Lopez, Dr Boone, Dr Mitchell, or Dr Parrack) and this can be verified by--link below). More About Dr. Douglas Politz, MD, FACS, FACE. 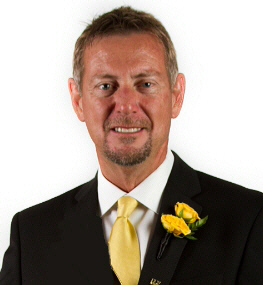 Dr. Doug Politz obtained his Bachelor of Science degree from Louisiana State University where he was the recipient of an Honor's Scholarship and Leadership Scholarship. He then attended LSU Medical School where he graduated with the Chancellor's Award as the Most Outstanding Graduate. He was the president of his medical school class and received multiple honors and awards. He is a member of the prestigious Alpha Omega Alpha medical honor society (top 10% of US medical school graduates). Dr. Politz obtained his surgical training at the University of South Florida, where he worked with Dr. Norman for 5 years. He was awarded Most Outstanding Resident and/or Resident of the Year on 3 different occasions. Similar to Drs Norman, and Lopez, Dr Politz has been awarded the "Patients Choice Award" 10 consecutive years (top 3% of 720,000 American doctors) for his bedside manner and how he "treats" his patients. He has been chosen as one of America's Top Surgeons for 10 consecutive years. 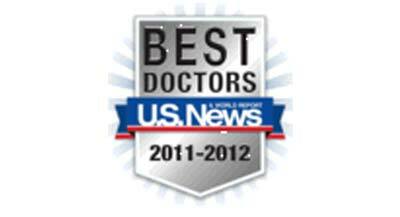 He is among the highest ranked doctors on HealthGrades (top 0.1%). 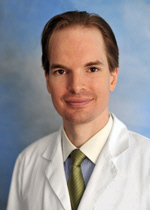 Dr. Politz is board certified in General Surgery and a Fellow of the American College of Surgeons (FACS), and is also a Fellow of the American College of Endocrinology (FACE), is a member of the American Association of Endocrine Surgeons, and is a member of the American Association of Clinical Endocrinologists (among other medical societies). After graduating residency he practiced surgery in Austin, Texas where he introduced MIRP mini-parathyroid surgery to the state of Texas, building an extensive referral network making him the number one parathyroid surgeon in Texas. Dr. Politz has never had a malpractice claim. Doug is married to Laura Politz, MD (Obstetrics and Gynecology) and they have 3 small children, a boy 12 and twin girls 9. More About Dr. Jose Lopez, MD, FACS. Dr. Jose Lopez was born and raised in Ponce, Puerto Rico, obtaining his Bachelor of Science degree at the University of Puerto Rico. He attended medical school at the University of Puerto Rico where he finished at the top of his class and was elected AOA national medical honor society (top 10% of all medical students) and won numerous awards for academic achievement and leadership. He performed his surgical training including chief residency at the University of South Florida (Tampa, FL), working under Dr Norman and alongside Dr Politz. While at USF Dr Lopez was recognized as Most Outstanding Resident or Resident of the Year three times. 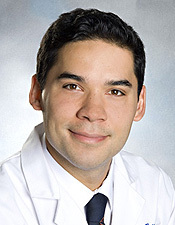 Finishing his residency in 2004, Dr Lopez completed a 1 year fellowship in advanced minimally invasive surgical techniques at USF. Like all our surgeons, Dr Lopez is board certified and is a fellow of the American College of Surgeons. Dr Lopez has gained the reputation of being extremely conscientious regarding the care of his patients, and remarkably gifted in the operating room. He has been named one of "America's Top Surgeons" annually for the past 7 years and been awarded the Patient's Choice Award 8 consecutive years. He has a near perfect score from hundreds of patients on HealthGrades. Jose is married and has three daughters, 17, 11 and 5. Dr. Jamie Mitchell went to Holy Cross University for his undergraduate degree and then on to Georgetown University for Medical School. He went to Harvard University for his surgery training, spending 7 years in Boston from his intern year through his chief resident years as a Clinical Fellow in Surgery. He then underwent 1 year of specialty training in endocrine surgery (thyroid, parathyroid, adrenal) at the Cleveland Clinic in Ohio. He stayed on faculty at Cleveland Clinic for 6 years as a senior thyroid/parathyroid surgeon until early 2015 when he moved to Tampa to join our team. Dr Mitchell is an expert in complex parathyroid surgery, especially when combined with thyroid problems. He has some 40 scientific publications and is a frequent speaker at national meetings on advanced ultrasound techniques for neck tumors. He is a member of many prestigious medical societies, including all of the thyroid societies and endocrine societies. He has been chosen as one of America's Top Doctor's and has received many awards and has never had a malpractice claim. Dr. Deva Boone was raised in New Jersey and spent most of her life in New York City. After obtaining her medical degree from Cornell University, she completed general surgery residency at St. Luke's Roosevelt Hospital Center in New York City. While there, she received several awards for research, and during her final year received the highest award for outstanding contributions to surgical education and research. After residency Dr Boone received additional fellowship training in endocrine surgery (thyroid and parathyroid surgery) at NorthShore University in Chicago. She enjoys surgical missions and has provided surgical care to patients in Nigeria, Myanmar, and the Dominican Republic. Deva is exceptionally smart as well as gifted in the operating room--two traits that are extremely desirable in a surgeon. Patients love her great personality and she is a great teacher and educator. She gives talks regularly at national meetings and has become a recognized expert in parathyroid disease world-wide. In addition to her great operative skills, she oversees our research efforts. Deva is married and has two children, a 6-year-old daughter and 4-year-old son. Dr Kevin Parrack comes to us from Columbia University where he was an endocrine surgeon for two years following his fellowship training in endocrine (thyroid/parathyroid) surgery at the Cleveland Clinic. Kevin received his BS degree in biochemistry from NYU, and then did his surgery training at New York Presbyterian Hospital before going to study endocrine surgery at the Cleveland Clinic. Kevin has a calming personality that makes the most nervous patient at ease and confident. His great demeanor and wonderful surgical skills makes Kevin one of the best parathyroid surgeons in the world. He isn't just loved by the patients, he is loved by all of the hospital and operating room staff. He is married to another very successful surgeon as well. Dr Dan Ruan came to us from Harvard University where he was the director of endocrine surgery (thyroid, parathyroid and adrenal surgery) and where he was the director of Harvard's endocrine surgery fellowship tasked with teaching the next generation of thyroid and parathyroid surgeons. Dr Ruan went to medical school at Duke University and then did his surgical training and residency at Harvard. He then went to UCSF for additional fellowship training in endocrine (thyroid/parathyroid) surgery. Dr Ruan is extremely bright with a warm personality that makes every patient calm and assured. His knowledge of parathyroid disease is unrivaled outside of our group of experts and his insight into how parathyroid surgery is performed (differently!) throughout the US and other countries is amazing to hear. He brings tremendous surgical skills and his experience with minimally invasive techniques makes Dan one of the best parathyroid surgeons in the world. Dan is loved by all the patients and hospital staff because he is so up-beat and positive. Like most of our surgeons, Dan is married to another very successful physician-- his wife is an opthalmologist specializing in retainal surgery. They have 2 young boys. The Best Parathyroid Team in the World. All of our surgeons were at the top of their medical school class (most were president of their class). 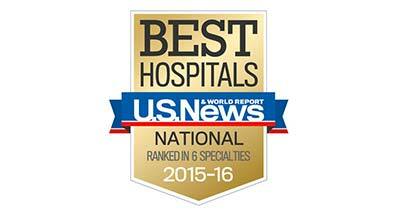 All trained at the best surgical centers and all are members of all the most important societies. All have been chosen as "top doctors" and "top surgeons" numerous times, and all have dedicated their surgical careers to one disease only: Hyperparathyroidism. None of our surgeons have ever had a malpractice claim. This is all we do, and we try harder than anybody else. Treating patients like a member of our own family is always our number 1 goal, and our promise to you. We discover thyroid cancer about once or twice per week, and we deal with it right then and there almost every time. HOWEVER, our patients are VERY fortunate in that Dr Gary Clayman, the world's most respected thyroid cancer surgeon joined our staff in September, 2016. He opened the Clayman Thyroid Cancer Center within the same Institute with the Norman Parathyroid Center. Thus our parathyroid patients are afforded access to the best thyroid cancer specialists should they need it. They have a very comprehensive thyroid cancer website. We have an entire page on Thyroid Cancer in Parathyroid Patients. See Dr Norman's complete CV ... A listing of all of his credentials, education, publications, grants, patents, etc.